Ketchikan's local webcam views with historical background. 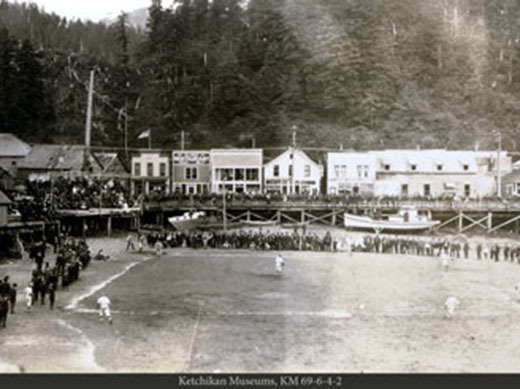 Ketchikan has undergone some significant changes over the last 140 years. Learn the history as you compare live webcam images with photos of our past. 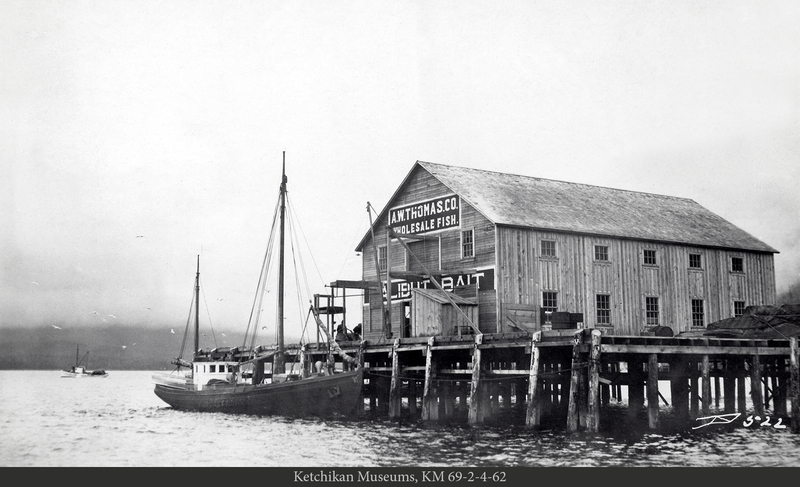 We've combined the efforts of Ketchikan Museums and Ketchikan Public Utilities to provide a historical comparison between past and present-day Ketchikan. KPU's webcams deliver live views of Ketchikan and her waterfront that show stark contrast to the historical photos pulled from KM's archives. Pairing the photos with the stories written by local historian and former mayor Dave Kiffer provides for a unique interactive journey through Ketchikan's history. Looking southeast over Thomas Basin and Baranof's Private Marina. The view through the web cams onto Thomas Basin are a view back into the beginnings of Ketchikan history. 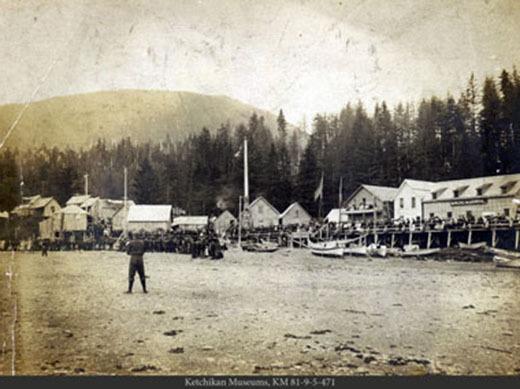 With some alterations, the mouth of Ketchikan Creek remains similar to where Ketchikan, the community, began in the mid 1880s. But for generations previous to that, Tlingit Natives came to the creek each summer to harvest the more than one million salmon that returned late each summer. Using beach nets and primitive weirs, the Tlingit would harvest tens of thousands of salmon that they would then take back to their permanent villages up and down the coast. When the first white settlers came to the region, they believed that Fish Creek, as it was called, was a gold mine. But the steep topography of Tongass Narrows limited development. 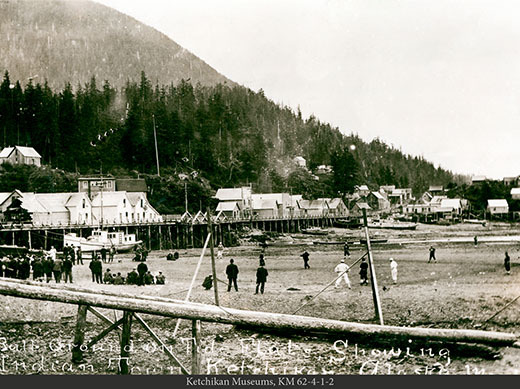 The first significant cannery in the area was built in the village of Loring, some 20 miles north of Ketchikan. By the time Ketchikan became the "Salmon Capital of the World" and, briefly, Alaska's most populous city in the 1920s, it was clear that a full-sized harbor was needed. Each summer more than 1,000 fishing boats were based in the community and space at the small City Float in Newtown was insufficient. The community petitioned the Federal Government for funds to dredge the tide flats and create a harbor which the Ketchikan Chronicle newspaper referred to as "Thomas Basin" in 1926. The dredging and the harbor was completed by 1931 and Thomas Basin became the primary Ketchikan small boat harbor for the next 30 years until Bar Harbor was built two miles north of Downtown. On the south side of Thomas Basin, numerous smaller businesses sprang up over the years to meet the needs of the fishermen and boaters who used the harbor. The Union Machine Shop continues to supply the commercial fleet. Both it and its neighbor, the Potlatch Bar, have been in operation since the early 1930s. Over the past 30 years, the steamship docks and the space where lumber ships loaded their cargo have gradually morphed into the Ketchikan Port area - a mile long facility - which is now capable of berthing four large cruise ships and is likely to be further expanded in the future to handle the even larger ships planned for the Alaskan market. The City Council is working to limit further encroachment of the port into the Thomas Basin area as it is still a major harbor for both commercial and recreational vessels in the Ketchikan area. South of Thomas Basin is what remains of Ketchikan's salmon canning industry, two canneries that pack more than 100,000 cases of salmon each year. This is life in Ketchikan. Our local television crew captures life and events throughout the Ketchikan community. With everything from local art show and martial arts competition coverage, to the king salmon fishing derby and cooking show productions, KPU has done a wonderful job of depicting what life looks like around our island home. 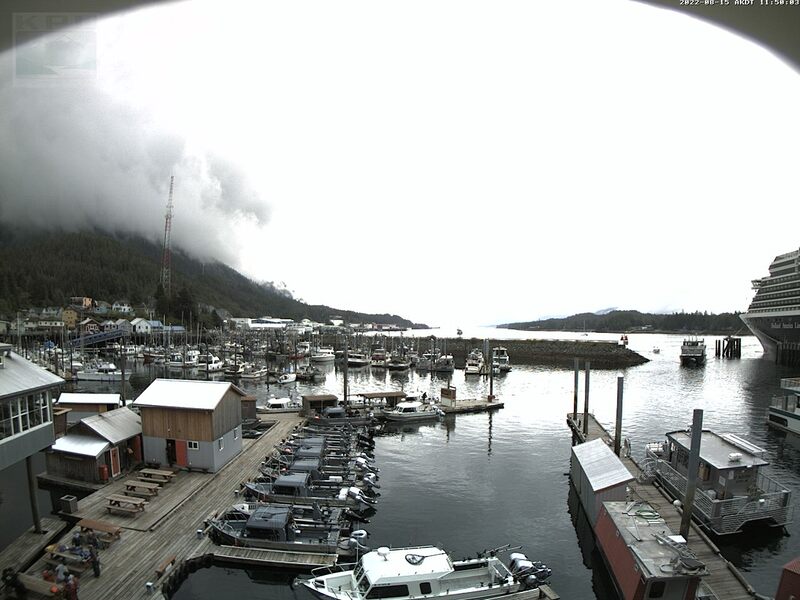 Ketchikan webcams are installed and maintained by Ketchikan Public Utilities throughout the community. On their site you'll find details on the location of each, as well as images from each location taken during one of our less-than-common sunny days. 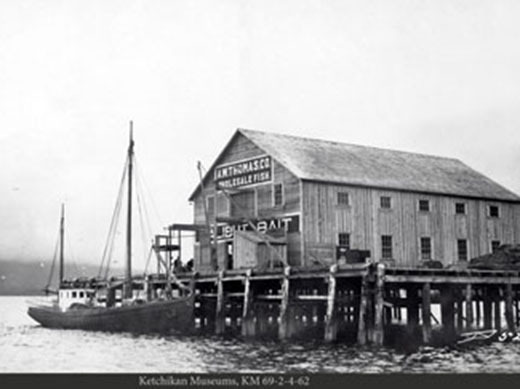 Tongass Historical Museum – 629 Dock Street in downtown Ketchikan. 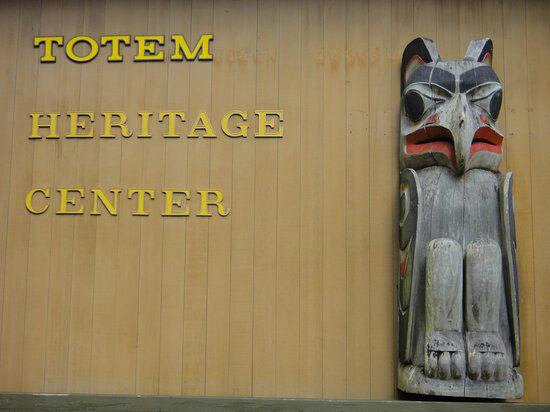 The Museum’s permanent exhibition, "Ketchikan Is..." reflects our unique experience building a community in the remote Southeast Alaskan rainforest. Dive deeper with a visit to our temporary gallery that showcases rotating exhibits. 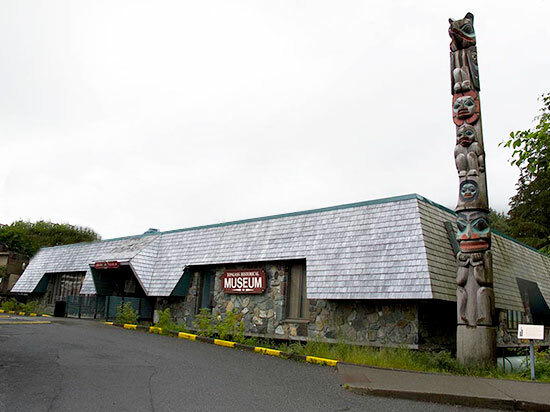 Ketchikan Museums are open May through September, daily, 8 a.m. to 5 p.m. Admission is only $6 for adults, $5 for seniors (65 and older) and free for locals, members of the military and children. Both facilities are on the free shuttle bus route, conveniently available near the cruise ship docks. Call 907-225-5600 for winter hours and rates.